All Door Armor products are backed by the Door Armor Lifetime Warranty against kick-ins. With more than 250,000 doors secured, nothing else comes close. 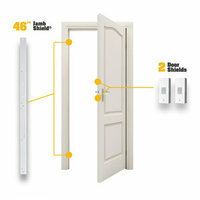 Installs in under 30 minutes without removing the door. Created for Fannie Mae job guidelines. 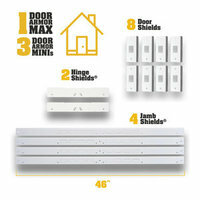 $67.15The Door Armor Max Combo Set provides the ultimate in protection. 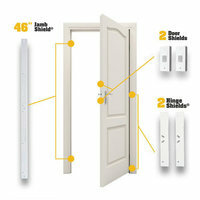 comes with 1 Door Armor Jamb Shield, 2 Mini Door Shields and 2 Hinge Shields. The MAX Combo Set is backed by the Door Armor $500 Lifetime Warranty against kick-ins.